Our aim is to offer all our guests a home from home in South Devon where you can relax with family and friends. Our guests tell us that we have achieved just that. "Wow wow wow! We have just had a great holiday at Rill House. It was like home from home. Perfect! 10/10 just a very tranquil, quite and stunning location"
You will be greeted with a welcome present for you and your dogs, all your beds are made for you and your towels waiting. We provide free Wi-Fi, TVs in the lounge and all bedrooms and a landline (calls are chargeable) as mobile signal can vary. We love to make suggestions to our guests on things to do, go, eat, shop and do based on their own preferences simply contact us via our Facebook Page or our contact page on our website. "From the beginning when I booked all my questions have been answered quickly and lots for suggestions of what to do and where to go by the lady who owns Rill House. Nothing was too much trouble and it felt like she really wants you to enjoy your holiday." Want to see for yourself what we can offer you? 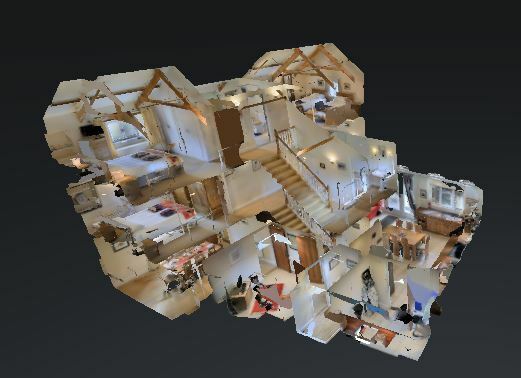 Then take a 3D tour/walk round the house.